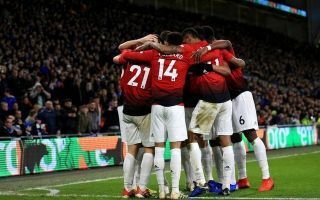 Manchester United manager Ole Gunnar Solskjaer has reportedly given a list of three players he wants sold by the club in the summer transfer window. According to the Daily Star, the players Solskjaer wants gone are big-name Jose Mourinho signing Alexis Sanchez, plus defenders Antonio Valencia and Marcos Rojo. The Norwegian tactician will no doubt be keen to put his own stamp on this squad he’s inherited from Mourinho, with arguably more names in the team also not really looking up to the job. Still, the Star claims Solskjaer has informed Ed Woodward that these are the three he’s eager to offload, and fans will hope that can also allow the Red Devils to bring in some exciting new signings. United have certainly been linked with a fair few world class attacking players who could be ideal replacements for Sanchez. The Independent have claimed both Jadon Sancho and Philippe Coutinho are among MUFC’s targets, while Sport have linked the club as being in a commanding position to sign Atletico Madrid’s Antoine Griezmann.